Somehow invitations made it out recently for this Smashbox Studios and True Religion-sponsored Coachella after party. 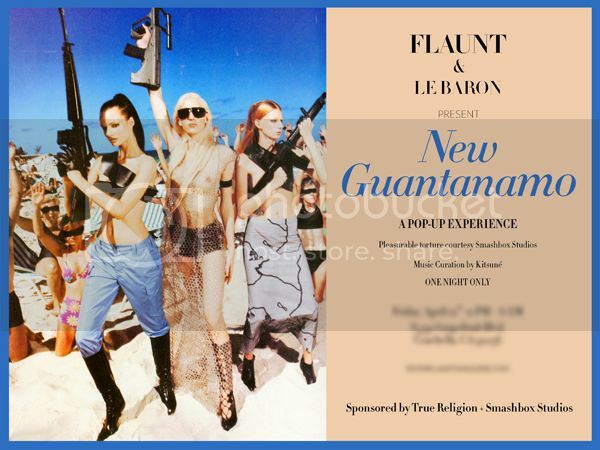 Both sponsors have since backed out of the event, stating that they didn't know about the party's controversial theme, which has since been changed by the organizer, Flaunt Magazine, after considerable negative feedback. Refinery 29 has the story.